14k gold filled wire wraps a large Swarovski glass pearl. 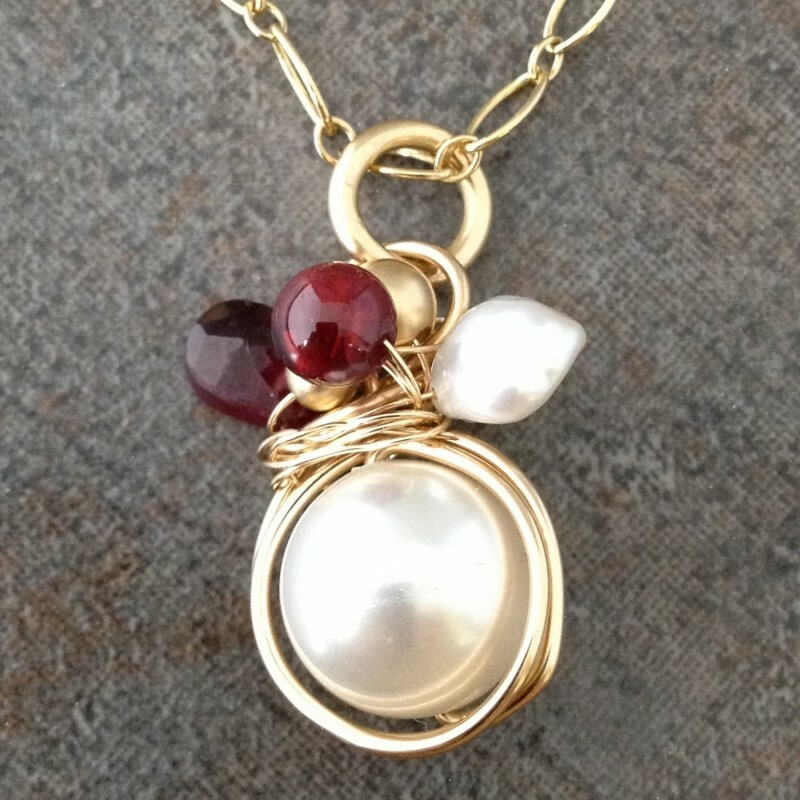 Natural garnet briolette, a fresh water pearl, and gold filled beads complete the look. 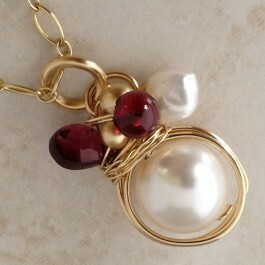 14k gold filled wire is wrapped around a large Swarovski glass pearl. 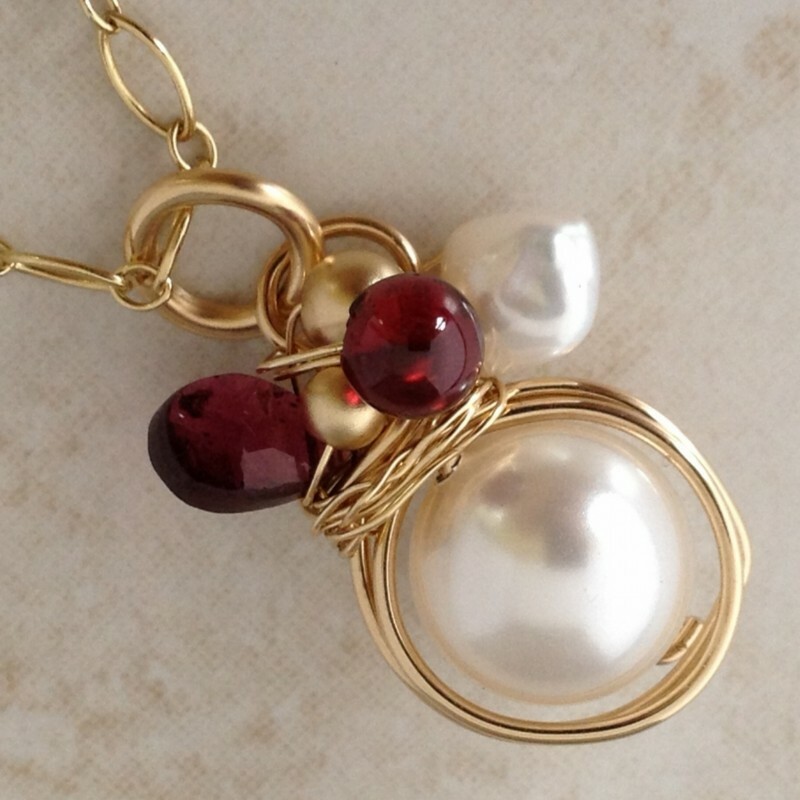 Garnet, fresh water pearl and gold filled beads are wrapped on top and create an elegant and artistic pendant you can wear everyday. Gold filled chain and handcrafted clasp. Pendant drops about 1". Necklace is 16"-18" long.